This week I am on a business trip for work and have already earned a $250 AA travel voucher and a $10 meal voucher from American Airlines. All I had to do was volunteer to get "bumped" off the flight to my destination and catch the next flight that was 2hrs 7min later. In effect I earned over $100/hr by sitting around and eating $10 in free food. I am hoping I might be able to pick up one more travel voucher on my return flight to Raleigh. This is a really easy way to save money on airline tickets regardless of how often you fly. Airlines regularly offer travel vouchers for those passengers they can shuffle off flights that the airline has overbooked. For those that know the system, this can be a lucrative way to get big savings for little time or effort. Let me start by saying I am not an expert on earning these travel vouchers and encourage everyone to add other tips in the comments below. 1) When you are planning a trip I try not to tightly plan things close to arrival/departure times. Its a good practice anyway what traveling at the mercy of the weather and various airport delays, but its even more important if you want to try and earn travel vouchers. 2) Don't catch the last flight of the day if you can help it. I always try and book the second to last flight of the day. This way if they ask for volunteers to "bump" off the flight, there is still a flight to my destination that same evening and it won't inconvenience me more than a couple of hours. 3) Book on flights that are already almost full or during typical busy times. For instance, there are alot of Friday or Thursday late afternoon, early evening flights that are booked from business travelers headed home for the weekend. 4) Try and keep your hops to a minimum. There are exceptions, but the more "hopping" you do the harder it will be to take advantage of getting bumped from any flight other than your final destination flight. For example, if your flight is Atlanta->Chicago->St Louis->San Jose then really the only hop you would probably want to get bumped from is your St Louis->San Jose flight. If you got bumped from any of the others, it would be very hard to arrive at your destination in reasonable proximity to your planned arrival. 5) The fewer in your traveling party the more opportunities you can take advantage of. The airline is typically looking for 1-3 people to get bumped depending on their overbooked situation, so the less people in your group usually means you will have better chances. However, the more people in your party, the more travel vouchers you can earn per bump. If you were traveling with 2 other people, you could earn $750 in vouchers compared to $250 for just yourself. 6) It doesn't work every time, but for every trip you take you basically have 2 opportunities, the flight to your destination and the return flight to your origin. Create your travel plans around these flights to maximize your opportunities. Typically the airline attendant will just announce 15-30min before the scheduled boarding time that they are looking for volunteers to get "bumped" and what they are offering in terms of compensation (aka travel vouchers, meal vouchers, extra miles, etc). Then you just go up to the station and tell them you are willing to get bumped. -I try and make sure I am at the gate as early as possible so I can hear if they need volunteers. -I'm too lazy to do this, but I have seen people just approach the flight attendants and ask them if they are going to need anyone to get bumped so they won't miss the opportunity. 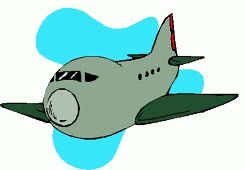 -Get familiar with the flight schedules before your actual trip so you know in advance your booked flight times and the flight times of later flights. This way you won't need to think about the impact and whether you want to get bumped if they need someone. -Make sure they can give you a confirmed seat on the next flight out; otherwise they could leave you hanging around alot longer than you thought. -Ask for more. I don't know if it works, but if they desperately need someone, I would bet an airline might give you more then they announced such as extra airline miles, larger travel voucher, meal voucher, etc. -Keep in mind the travel vouchers are typically good for 1 yr after issue. If you or someone you know isn't taking another trip in the next year, this could be a waste of your time. Info on bumping and travel vouchers. *Delighted laughter* This is a pleasingly pragmatic, as well as original, post. Very nice! I'm definitely going to keep this in mind the next time I travel. As I have said before, "Penny wise, pound foolish", all I have to do is sit down and do nothing and my investments and biz automatically makes me rich. I do understand your need to save more money, have you thought of earning more money through the right investments and making deals (one off biz transactions), if you can to get more info on "making deals", look up gun traders and weapon makers, even petrol traders. Well I have to go. "I have been rich and I have been poor, rich is better". Unfortuntely, no luck on the return trip home. They didn't need any volunteers. Great thinking, and if only costs you a couple of hours to get that payback. I have been bumped before from flights and have definitely found it worth my time, as long as I don't have any plans affected. This cannot work in actual fact, that's exactly what I consider.